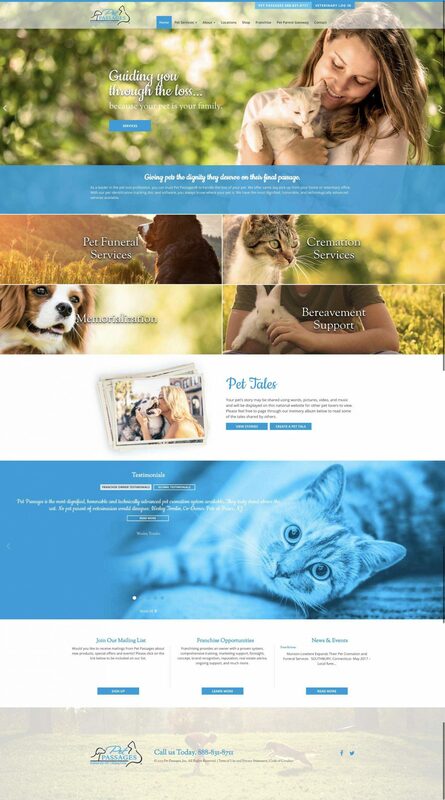 We’ve been working with Pet Passages for a number of years now. 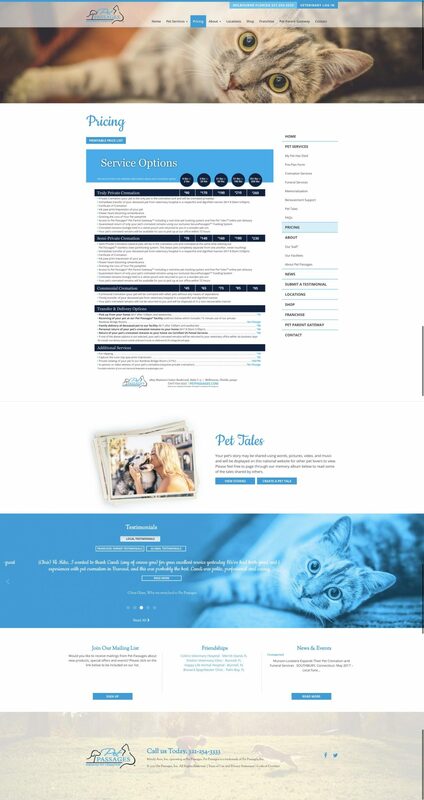 One of the first large projects we worked on was taking their old system, adding features, and creating a theme that could be administered by their existing system, https://nevistechnology.com/portfolio/pet-passages/. There’s only so much patching you can do. New techniques and code bases are created over time and sometimes it’s better to start over. That’s what we did in this case. We started over with a totally new design, page structure (which we created 301 directs for), and back-end system. 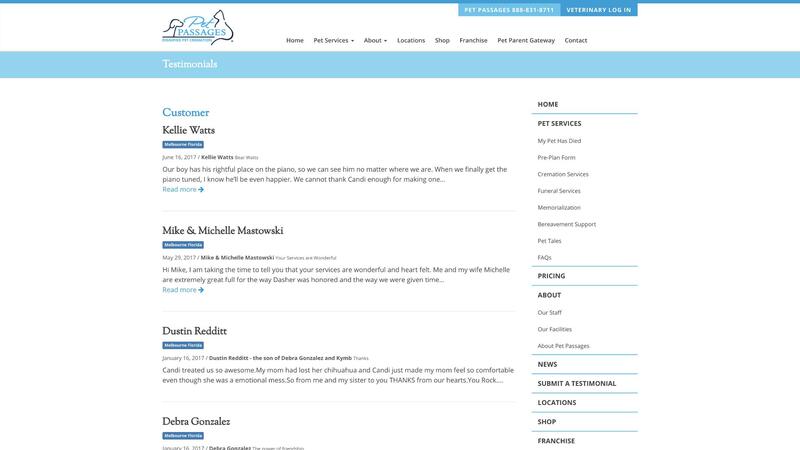 This business sells franchises and each franchise gets their own website. Many automations were created – such as when a new site is created, the content is copied from the corporate site as a starting point, which allows the franchisee to change the text without affecting any other sites, if they so choose. There are also some options that each franchisee can modify for their site. Another cool automation that’s set up is creating a screenshot of a PDF when the franchisee uploads it, so the preview of the PDF can be shown on the Pricing page. 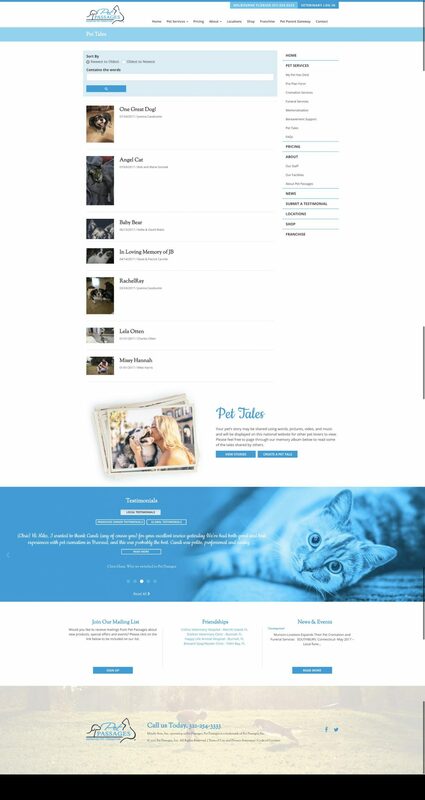 Pet Tales are a custom post type which we have hooked into and send custom emails as necessary. Upon a new tale submission, the franchisee is emailed to approve the tale. Visitors can sign up for updates to a tale. And the tale submitter gets updates when someone leaves messages on the wall. 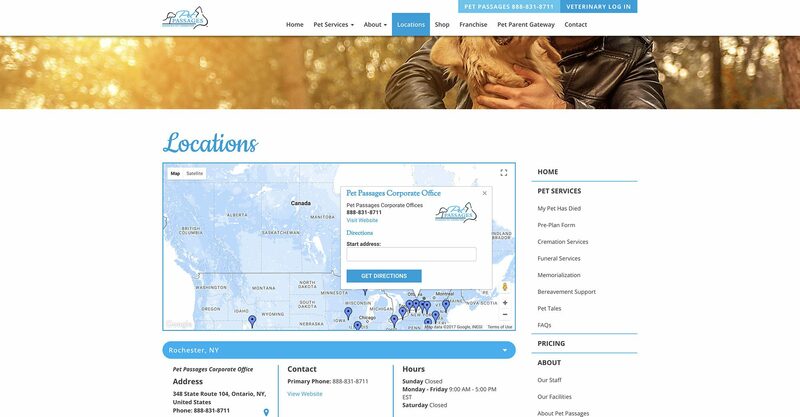 This was a fun project and are excited to continue out relationship with Pet Passages!